Are you bored of the plain boring office cubicle already? The desk, the chairs, the shelf, the cabinet, the computer and if you’re lucky, the television set have made pretty much entire of your life for the longest time now. Worse is when you’re mostly still stuck to a designation where you do not have your own cabin, but then office decor can be fun too. And pretty simple office decoration can often bring out a more awesome side to that boring place you thought was worse than the old school classroom you had to spend days adjusting to after the colourful kindergarten ones. 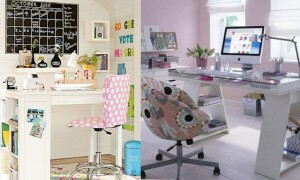 Office decor can equally be fun and quirky and chic and modern with the edgy class they just can’t look beyond. 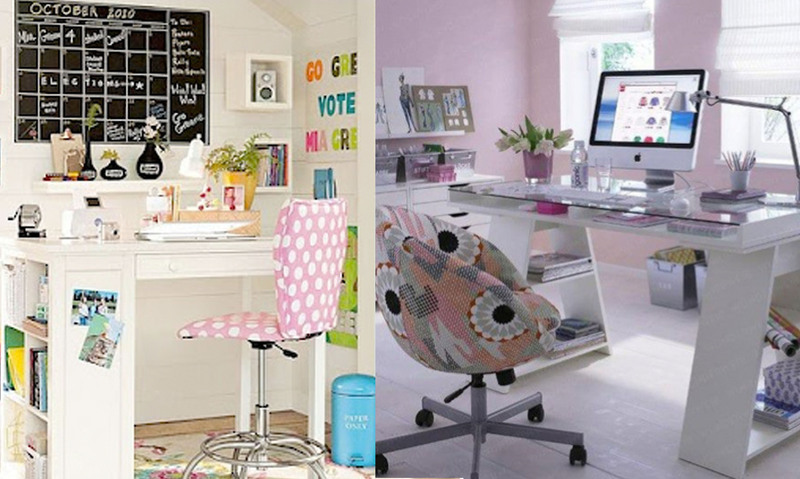 So are you ready to revamp your office with simple tricks that would change how it looks? 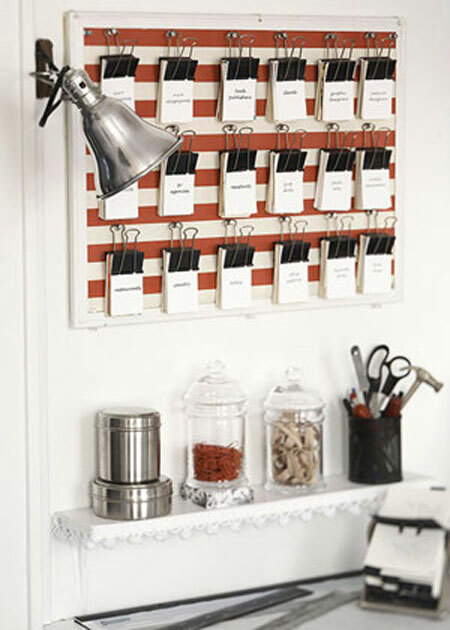 Here are 10 simple office decorating ideas you may not want to miss. The visuals of your office are best enhanced when the colour scheming on a whole complements each other with blending neutral shades or stark contrasts suiting to the taste of the office. While a publishing house maybe be quirky, colourful and full of energy with high vibe colours, a typical finance of legal advising firm will be criticized for bearing the same appearance. The general expectations comes to being more sober with neutral colours and darker colour scheming. Make sure that the colours on the wall complement the furniture and other fittings well. They do make a difference, however irrelevant it might look to you. Try giving your office adept lighting to suit the colour scheming too. You may be on a budget or maybe your office is just so full with the storage cabinets, the book shelf, the box for loose paper, the organizers, the printer and the bulletin board that helps you keep track of what more are you supposed to do for the day. Your desk too might be the old steel frame where you’d rather call it an operation desk at a hospital than one required for an office. Keep low height cabinets under your desk to serve the purpose of in desk drawers as well as try keeping all your paraphernalia within your reach on as organized desk top to not just give a better look to the visitor but also help you function better. Make sure though that you are able to distinguish between the line of being organized and being messy with too much stuff to keep. Have you spent half of your office life looking for the visiting card you ought to have but you have misplaced and it is not a phone number you bothered to store on your phone? An idea which might change your life is this. You can put up a glue board or a magnetic one at that and simply keep pinning with paper pins the important visiting cards you might need over the next few days or weeks. You can also accommodate the place with a high visibility light and a shelf to accommodate the paper pins and other office paraphernalia you might need with the cards including stapler, scissors and a pen in order to not any further details required before pinning the card. 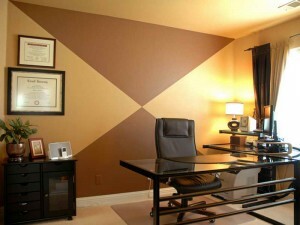 Not only will it make your life easier but also give you an entire wall in your office which is visually appealing. If you are yet working on a desktop in one of those open cubicles with make shift partitions and you believe you got little scope with revamping how your office looks, you can plain add to the same old platform a number of adornments like a miniature or Bonsai plant pot along with another small folding desk that you can keep on the platform and use as a shelf for daily paraphernalia at office. You might add also a small colourful lamp, a number of small frames or simply just pin snapshots on the makeshift partitions to give that visual edge to your cubicle. 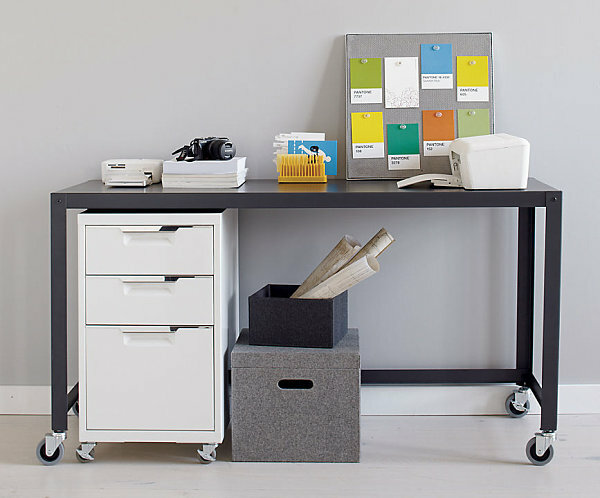 Shift any visually disturbing piles of paperwork to a small storage cabinet which you might accommodate below the desk platform. Do you have an office that comes to haunt you not because it is full of work but simply because the walls are empty and boring? Offices may be best kept neat and tidy but offices where there is little or no paper work along with other files and books look odd, for our perception of it. Fill that empty boring wall with a straight long bookshelf or a couple of them. Even if you have a storage cabinet already, use the covered space for other stuff you might need at office but try keeping files and books which are not confidential on the rack. 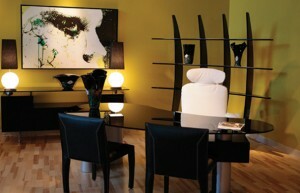 It gives not only a very professional look to the place but also adds character to an otherwise empty looking room. If you have so much to store that all the place in the world, or in your office looks too less for it to keep the place mess free, a good idea is to optimize your storage while still adding to the visual decoration of the place. Use coloured file covers instead of the plain boring ones and use a desk where the legs have bookshelves to accommodate your paper work. If you believe the out of sight is out of mind, use a blackboard to keep a reminder for yourself. Not just will the blackboard occupy little or no space, it will also add a vintage feel to your office. So are you presently in a start-up state of the office or simply tired of the old conventional conference rooms that force you to sleep while you are unaware of what is around with others at the office? A good idea is to make for a small conference room that is also a makeshift work station and reading library for the employees. 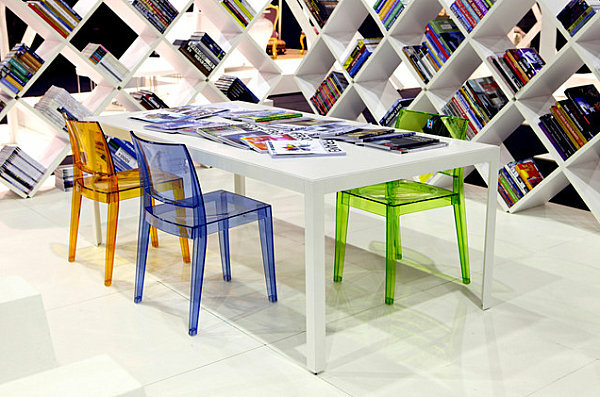 you do that by creating a partition with double sided bookshelves that break conventional methods and give the place a visual edge by adding coloured furniture and books with colourful covers. 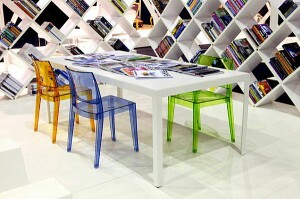 Add creative lighting in coloured cases and the place can be used for late parties too. Just saying. If there is one element to organizing and decorating which never goes wrong, it has to be adding elements of dark woody furniture to your office. Offices are mostly equipped with dark basic furniture. You can simply give that very office the old vintage English feel simply by adding an arched window in white and hanging some cane baskets to hold your belonging so as to organize. Display your certificates on the wall and have a plant indoors to keep up with the traditional office look. Mostly, just one element of character added to the office changes in entirety the entire visual treat the office is to be. 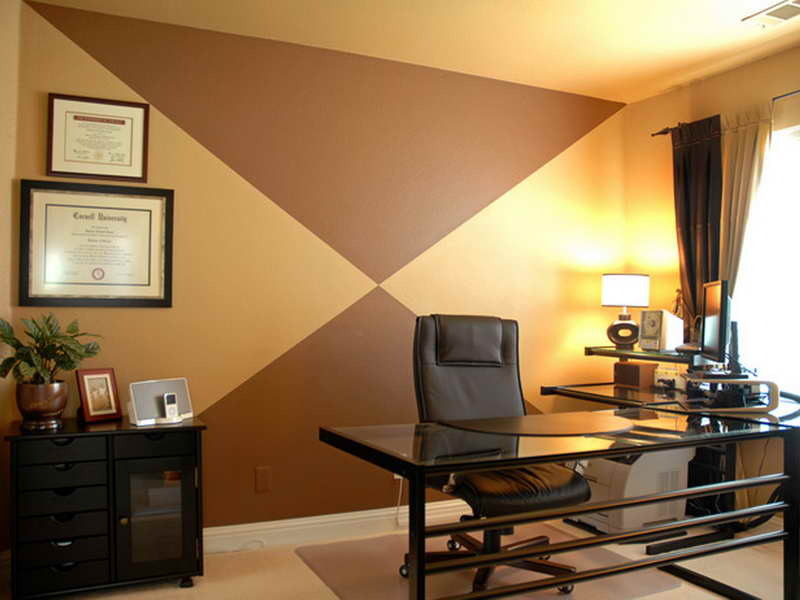 Empty walls are not just boring but may also make the atmosphere in within very tense in the middle of an interview. Do not give your visitor too much blank space to stare at. 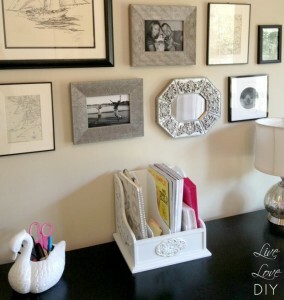 Add frames and carved mirrors to a single wall which may or may not hold your photos of achievements and development. They may equally by generic paintings as personal memories. Try keeping the pictures sepia toned though to not break away from the professionalism required. You might not have an entire bulk loads of files to put on display in your office, but any office sans storage furniture looks unfurnished and somewhat unimpressive. A good idea thus to make your office look visually appealing is to add shelves or cabinets which are more of visual treat than storage space optimizers. Equip the shelf with a vase of flowers or too and try keeping it as a background to your share whereas any empty walls can be decorated with huge canvases of paintings. The office would then retain its class and at the same time have its space. So, take time now and simply make your office a better place to be in. Add shelves and storage?!? In an OFFICE?!?!! Now, that is INNNNOVVATTIIVE!!! I don’t just mean INNOVATIVE — I mean INN%%%%%V@@TIVE!!! This is a GENIUS of an INTERIOOOOR DESSSIGNER!!! !